The Kia Stinger GT is South Korea's interpretation of a muscle car. It is also engineered to run with more expensive European exotics while providing a comfortable and refined driving environment. The base model receives a turbocharged 2.0-liter inline-four but the GT comes with a more powerful 3.3-liter turbocharged V6 that churns out 365 horsepower and 376 lb-ft. of torque. 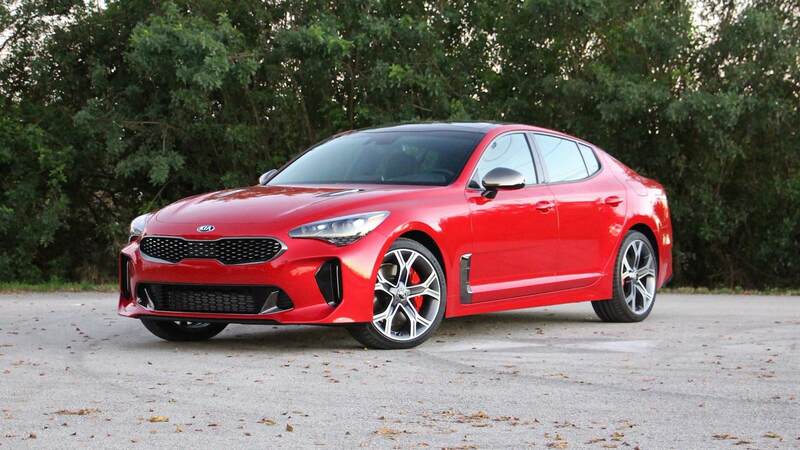 Truth be told, we would consider buying or leasing the Kia Stinger GT even if it weren't included on the Hagerty Hot List. This car offers lots of creature comforts for both the driver and passengers. It also helps that it looks the part as well. Kia has a real winner here. On YouTube, in EVERY review, here in the forums, all we ever hear about is the 'hot rod' most expensive GT2. Enough already!!! Let;s really start seeing reviews, videos, owner comments about the 2.0 litre with the premium and tech packages. I have no need or desire to be racing around my city with 365 horses under the hood. So let's hear more about the upgraded 2.0. Yes,the GT2 is a great car at a great price. But we all don't need it. It's 100% true. Matter of fact focusing on the 2.0 would show just how good the gt's are. I own a 2.0 base awd and it's all anyone really needs and is well equipped. The 8 speed trans, with sport mode is all you really need. I merged from a stop 0-60 a few times on a highway and clocked 4-6 seconds times on a straight a-way. I wish there was more media on 2.0's. For those long term guys like myself buying vs leasing the 2.0 is a huge steal with rebates and a trade in. It's like getting a BMW in the 20's but no one sees that angle. I merged from a stop 0-60 a few times on a highway and clocked 4-6 seconds times on a straight a-way. Hey Listen. lol Maybe it was 5.5- 6 seconds, the point is the stinger 2.0 & v6 are both solid cars and the 4cyl is all one needs if they can afford a stinger. For someone who's not leasing a stinger and worry their sacrificing power they're not is my point. In the very few reviews of the 2.0, they are often tested along side v6's and reporters write them off after driving the v6 first as being underpowered which is asinine. Everyone should test drive both in different drive modes and see what they need. If you order awd on every model you get features of the next model up for half the price is also a cost saving hack. If your someone looking for a camero/mustang/bmw/rwd muscle car for a low price with a great warranty that's not in demand and your not leasing the 2.0 awd is a great bargain. Even those looking for a blank canvas to tune its' a good deal. History will show that the high pricing and 5 trim lines is what killed the stinger. The car should be 3 trim lines in the 30's and not 40 grand. They would be selling a lot more if people could afford them and mentally justify spending the money. You're obviously very happy with your choice and the 4cyl works for you, that's great. If I had been thinking logically, the 2.0 Petrol would have been the engine to go for (let's ignore the UK Diesel option). Most of my driving is on roads full of other cars, and 97% of the time the 2.0 would be enough.